When buying a gas bottle from us for the first time, you’ll be subject to a cylinder refill agreement charge of £54.99 and if you do not have a gas bottle to exchange, this cost will be automatically added to your order when you checkout, for every bottle you purchase without an empty counterpart to exchange. This means, that the first time you purchase a gas bottle, you will be subject to this charge but when your gas bottle in empty, you can exchange your empty gas bottle for a full bottle within the same category (see gas bottle exchange policy), at just the cost of the gas and you will not have to pay for a cylinder refill agreement again. 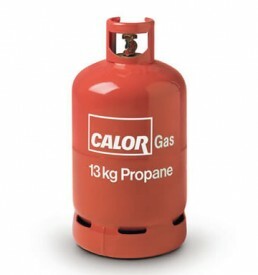 If however, if your gas bottle is empty and you no longer require gas and do not want to make an exchange for a full bottle, you can return the gas bottle to us and we will refund the cost of the cylinder refill agreement to you on a sliding scale, based on the length of time the bottle has been in your possession. When you order appliances and gas online, you will be subject to a £5.00 gas delivery charge and a separate delivery charge for the appliance or appliances that you have selected. This is because gas and appliance deliveries are fulfilled separately from different locations, so therefore we are required to charge separately for them. The gas delivery charge will be automatically added to your basket when you select a gas product. Any appliance delivery charges are based on location. Please use our delivery calculator tool below to calculate delivery to your location. By entering your postcode, you will be able to view the appliance delivery charge due and then add it to your basket for your final cost.